The territory which would be Montville Township was sold by the Connecticut Land Company to General Aristarchus Champion, who in 1818 had it surveyed into sections. In the early part of that year, a 24-year old Austin Badger made his way from Genesee County, N.Y. to the then unsettled Montville where he came into the service of surveyor Abraham Freese. After completing the survey of the township, he was allowed first choice of the land from which he selected several lots totaling 100 acres in the southeastern part of the township. In 1819 he erected a small log cabin and the following October married Catharine Rouple. She died on July 30, 1822 and would be the first death and burial in Montville Twp. When Mrs. Badger was laid to rest on the hill, the land was still owned by Aristarchus Champion who would later sell the land to Philo Welton. Welton, who would himself be buried in this cemetery in the fall of 1852, sold the property to John Smith on May 24, 1838 (Volume O, page 524). Smith would then sell the property to Philip Sickman on February 9, 1850 (Volume 1, page 21). Of note is the list of individuals for whom the cemetery was being held in trust. Presumably, this would refer to those who had family members buried in the cemetery – or at least the interests in a burial lot for future use. Of the seventeen names, eleven of them can be directly tied to burials in the cemetery. The remaining six are less certain and could be indicative of still unknown interments in the cemetery. While the trustees of that era certainly had the best of intentions, regrettably, the cemetery was not kept in good repair….. The cemetery appears to have been used regularly throughout the 1800’s but burials ceased after 1900. Sometime after the burials stopped the cemetery begin to fall into disrepair. Newspaper articles from the 1960’s describe an overgrown and neglected burial plot with a number of headstones missing. It has since been cleaned up but the damage to the cemetery has made it difficult to tell how it once looked. Many of the headstones are laying on the ground in organized rows in front of what remains of the original headstone rows. The WPA did a survey of the cemetery in the 1930’s and it appears to show five or six rows of headstones. The number of graves indicated by the map very closely matches the number of individuals accounted for by the remaining headstones. No information pertaining to lots or detailed layout information is available. Most of the burials appear to have been made up on the hill with a few burials made down closer to the road. Wolcott’s material indicates that in the 1920’s there was an iron enclosure around the Pelton lot. The driveway which runs past the cemetery leads to a house which was built in 1967. 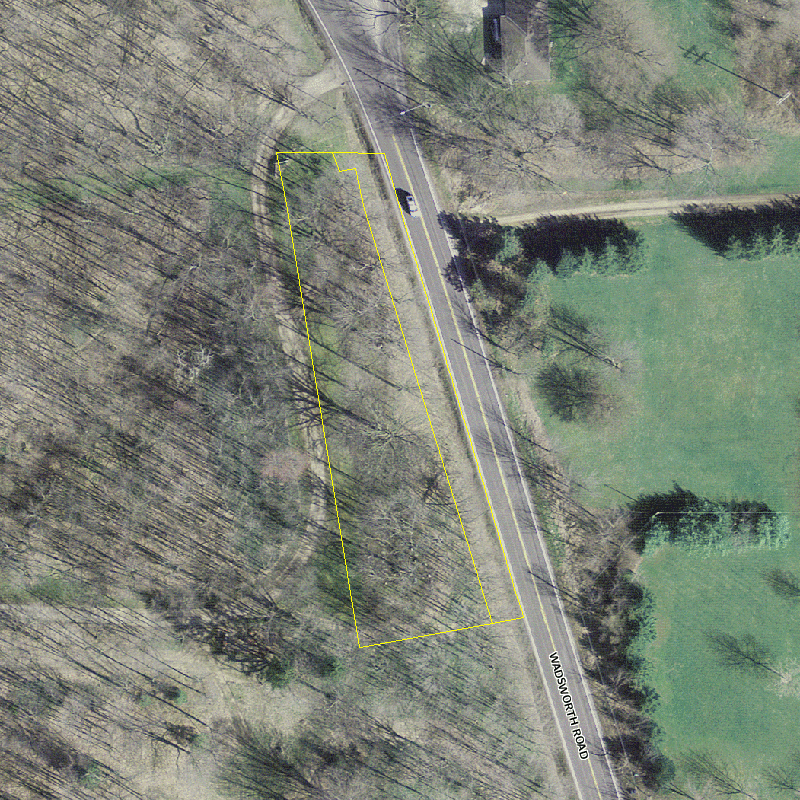 Presumably this is not the cemetery’s original access drive given that it is not included within the boundaries of the deeded cemetery property. Several of Montville’s earlier settlers are buried here. Parker Pelton is generally accepted as the first settler; arriving in 1819 and taking up a lot just south of Austin Badger’s. Philo Welton settled around the same time. No original records exist for this cemetery. The only burial information available has been compiled from the remaining headstones. The WPA map for the cemetery is the only known map in existence and sheds little light on the cemetery’s layout beyond what is visible today. Upon examination of the map, one can see that the marked graves on the WPA map were merely matched up to the existing headstones at the site. This is even clear today despite further deterioration at the cemetery and many of the headstones being moved. Further supporting this is that a count of the marked graves on the WPA map is an almost identical match to the number of names found on the headstones there today. A notable error on the WPA map is that it shows the cemetery in the wrong position relative to Route 57. The spelling of the name of this cemetery has also been one of debate. Some versions spell the name as `Crofoot’ which is the name of a family known to have lived in Montville Twp. Others spell it as `Crowfoot’ with the origin being that the intersecting of the roads near the cemetery resembles a “crow’s foot”. So far as is known, no Crofoots are buried in the cemetery and no Crofoots ever owned the cemetery land or the land neighboring the grounds. A search of land records for Lots 77 and 78 show only one Crofoot lived in the area of the cemetery: one Charles Crofoot who lived just up the diagonal road on 2 ½ acres from 1865 to 1892 (on the triangular section of land occupied by the cider mill on the map below). Perhaps there was some family connection that since has been lost to history. While the `Crowfoot’ naming seems like a nice story, given that the name Crofoot is one known to have been in Montville Twp., the proper spelling has to be Crofoot. The coincidence is too great to overlook. Persons unfamiliar with the name might have unwittingly `corrected’ the spelling by adding a letter `w’. Finally, the original layout of the intersection did not look as it does today. Deed records (Volume 117, page 376) show that on July 26, 1926 Conrad and Anna Wuescher deeded 1.90 acres to the County Commissioners to allow for an 80-foot wide road right-of-way. 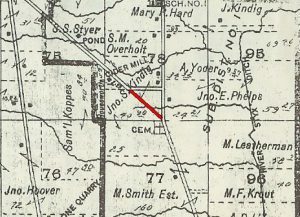 The road was put in shortly thereafter as the 1931 county map shows it as it looks today. Given that there was no `crow’s foot’ prior to 1930, this means that the `Crowfoot’ naming would have to have originated since then. Two final points of note: genealogist Winifred Wolcott refers to this cemetery only as the Smith-Welton Cemetery in her research which was mostly done before the altering of the road. The WPA map, done in the 1930’s shortly thereafter, refers to it as Crowfoot Cemetery.